I recently held my first solo exhibition at the Crazy Fox Cafe in Broadmead, Bristol. It was focussed on my illustrated maps and narrative work. 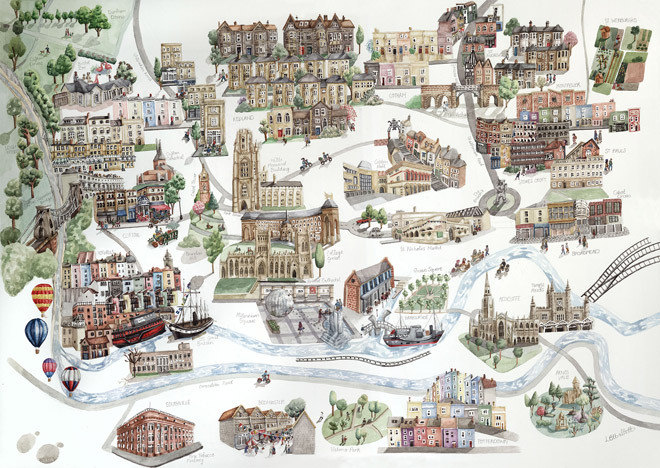 Finally finishing this new illustrated map of Bristol to display as the focal point of the exhibition was my personal highlight. It features some of Bristol’s most famous examples of architecture along with the different personalities of its many cultural and residential areas.